Have you heard of Shakeology? Do you know what it is? What it can do for you? How it can aid in your health and transform your health and body? First off, Shakeology is not just an ordinary protein shake...it's going to be your healthiest meal of the day! It’s a nutrient-packed shake that provides a wide variety of healthy nutrients in a low-calorie formula. Whether you use it as a meal replacement for weigh loss or to make sure your body gets all the nutrients it needs for optimal health, Shakeology is the healthiest meal of the day. It’s nutrition simplified! There are over 70 natural, high-quality ingredients from all over the world together in one glass to provide you the best nutrients your body needs to maintain a healthy diet. If you are looking to lose weight, curb cravings, gain energy, or simply get all the nutrients your body needs for optimal health, Shakeology helps with all these as well as promoting healthy digestion and regularity. 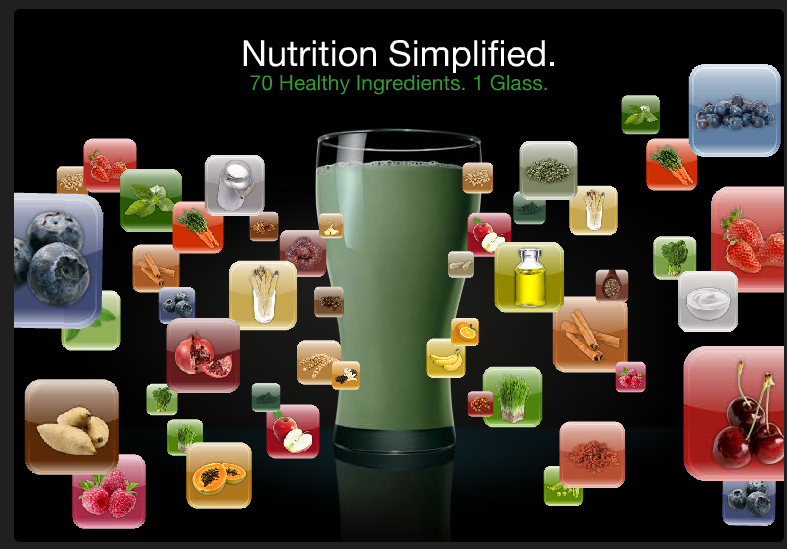 Shakeology recommends you replace one meal per day with a shake as well as a balanced diet and regular exercise. Shakeology is a MUST for me! I’m a busy mom and don’t always have time to make myself a big salad, and honestly, a chocolate shake is more tasty! I know I am getting all the nutrients my body needs to support my health. It helps me have greater energy and fewer food cravings. It’s a great way to be certain that I’m getting at least one super-nutrient packed meal. Try it out for yourself! "Is it possible my body is changing already? It's much, much easier to resist temptation. I didn't believe Shakeology would "work" like that but I think it does. I have zero desire for sweets right now (except wine)." Yes...it's possible. And it does curb your cravings and give you energy!! Would you like to try Shakeology? There's a couple options...you can order a full bag of Shakeology which is one month supply and also comes with a 30-Day money back guarantee if you're not satisfied. Or I have individual packets you can purchase from me and I'll ship them to you. (There's a PayPal button over on the right side of my page...please pay as a "Send Money to a Friend" when using PayPal). I recommend trying a week's worth at a time. It's $35 for 7 packets (well, actually, it's 7 meals for only $5 each...you can't beat that for an inexpensive HEALTHY meal!!). I have Chocolate, Vanilla and Strawberry packets to choose from. You can purchase them at the right side of my blog and I'll get them shipped out to you right away. 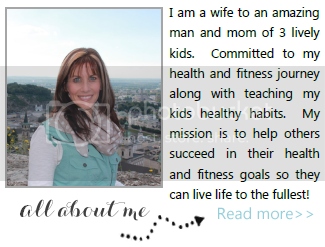 I would love to be your coach and help you through your health and fitness journey. 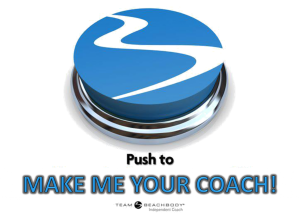 Having a coach is FREE!! All you have to do is register here for your free account, and then I can keep you updated on all my groups and challenges and help hold you accountable for your health and fitness goals. If you'd like greater accountability and help with meal planning and motivation for fitness and nutrition please fill out this application below to be a part of my next accountability group. I would love to talk with you about your nutrition/fitness goals and see what kind of program would be a perfect fit for you.